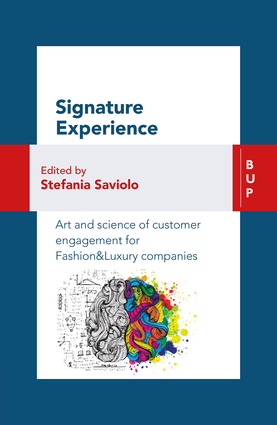 This volume argues that fashion and luxury brands should craft the customer experience with the same attention as they do with products, injecting creativity in all relevant touch-points. In crafting the experience, not only physical and digital touch-points will be considered but also human touch-points. However crafting is not enough if the execution is not well engineered. This book explores how fashion and luxury organizations are usually divided into sylos (design, marketing, sales) and are more product-centric then consumer-centric. To become signature, the customer journey should be the result of a new organization design and company culture enabled by three factors: data and technology, people and organizational mechanisms, and processes design and execution. Stefania Saviolo is a Professor of Management and Technology at Bocconi University and SDA Bocconi School of Management in Milan, Italy. Since 2013 she has been Head of the Luxury & Fashion Knowledge Center at SDA Bocconi School of Management where in 2001 she also was the founding Director for the International Master in Fashion, Experience & Design Management. In 2014 she launched the first ever MOOC (Massive Open Online Course) on fashion and luxury management on the American educational platform Coursera. She serves as board member in listed companies such as Stefanel, TXT, and Natuzzi.